NEW YORK — A Russian lawyer who became a focal point of the investigation into whether there was collusion between Russians and President Donald Trump’s election campaign was charged with obstruction of justice Tuesday in an unrelated case in New York. Veselnitskaya attended a 2016 meeting with Donald Trump Jr. and Trump son-in-law Jared Kushner that was described to Trump Jr. as part of a Russian government effort to help his father’s campaign. Veselnitskaya is believed to be living in Russia. 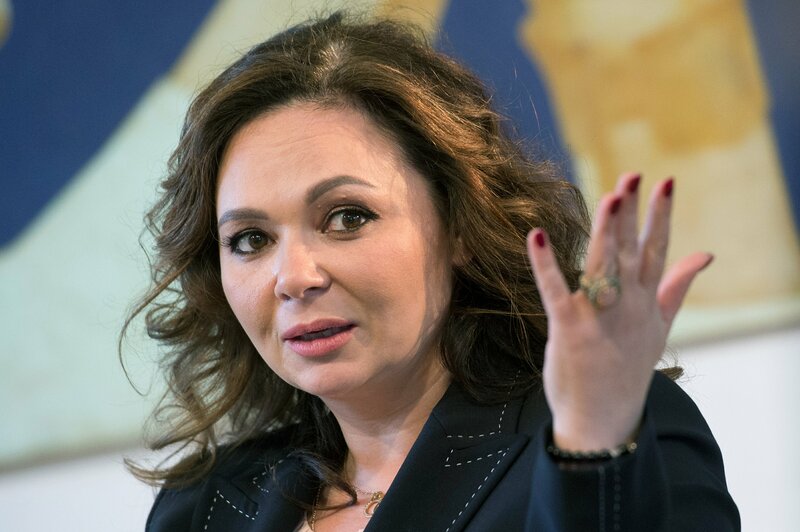 He said the investigation “brought to light how Veselnitskaya secretly schemed with a senior Russian prosecutor to provide false information to U.S. law enforcement in an attempt to influence the legal proceedings” a federal court in Manhattan. The court case originated in September 2013, when U.S. prosecutors sued to recover millions of dollars worth of New York real estate and other property on the grounds that it was tainted by a money laundering scheme. Veselnitskaya, an attorney based in Russia, was retained to assist the defendants. In 2017, she emerged as a key figure in the probe into whether there was Russian collusion with Trump campaign operatives. It was revealed then that Trump’s eldest son met with her the previous June after being told by an intermediary that she represented the Russian government and was offering Moscow’s campaign help to defeat Democratic presidential nominee Hillary Clinton.